THE HELMET IS HERE! Rather than lazily lean into stereotype, KillGXXD looks to concoct mixtures of house, R&B, and electronic music. This story is all about the beat! This twenty-one minute collection of bits & pieces was harvested from KillGXXD’s hard drives. Though a couple of these selections have remained hidden until now (“Never Fumble“, “Truly Something“), many of these sounds originally surfaced on soundcloud (among other places) over the past few years. As HSAL assists in instigating the next chapter of this artist’s story, we thought it prudent to share some of the work that made us fall hard for him in the first place. NOTE: Be on the lookout for a KillGXXD cassette with all new material around Valentine’s Day! Every release from December 2009 through October 2016. Here’s where we have come from. Seven inch singles, ten inch split EP’s, full-length special editions on colored wax, cassettes in multiple colors, digital streams…they’re all here! We’ve done our best to do the underground music scene across the Ol’ Dominion proud. Looking ahead, we plan to continue the work. The remaining months of 2016 holds a couple new cassettes, including the first physical release from our good buds Band & The Beat. Look for the pre-order campaign to drop on that one soon. 2017 will hold lots of exciting action from the HSAL camp as well. We’ll be releasing Lloyd Harmon’s EP as well as a collaborative affair b/t KillGXXD & members of local folk heroes Dogwood & Holly. New recordings from TLVS & honeybrandy will no doubt surface. We’re also keeping our ears to the ground for up & coming talent across the mid-Atlantic. Have something rad that you think we’d be into? 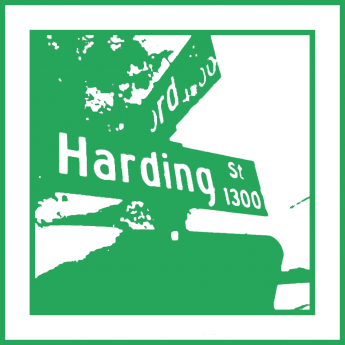 Share your wares – hardingstreet@gmail.com.